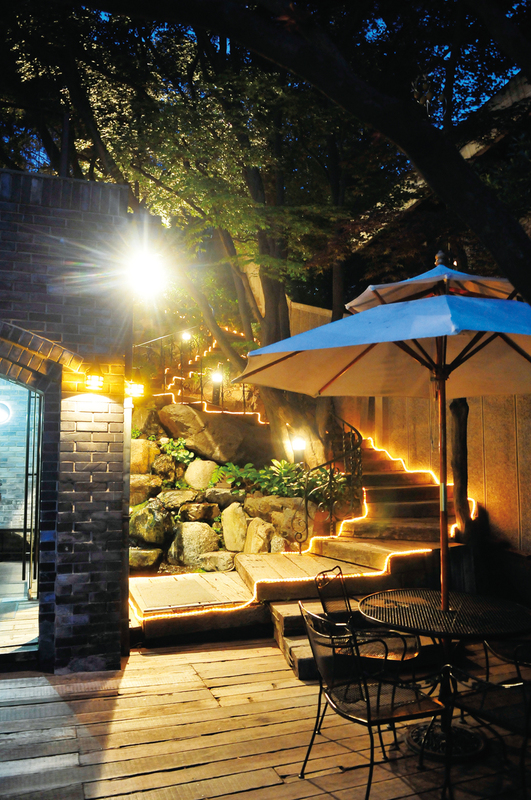 Things are warming up in Korea, making it the perfect time of year to enjoy an evening outdoors in Seoul. and drinks while appreciating the beautiful weather. 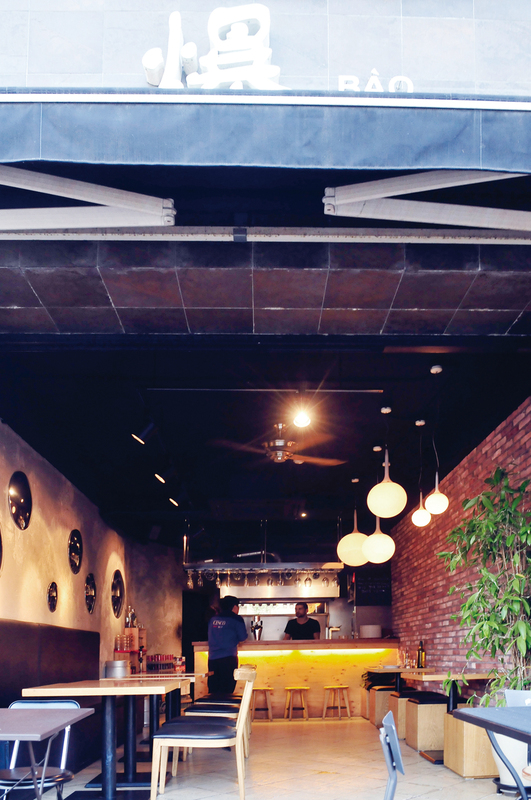 Kyeongnidan is one of the most popular neighborhoods in the city, and Báo is the perfect place to sit outside and take in the hustle and bustle of the area over a casual dinner with friends. Owners Michael Yantzi and Marsha Taylor strive to create a welcoming, friendly atmosphere, as well as a unique dining experience. Báo is a Chinese cooking term referring to the pop and crackle sound that anything makes when it hits a hot pan, and the restaurant’s dishes do just that. 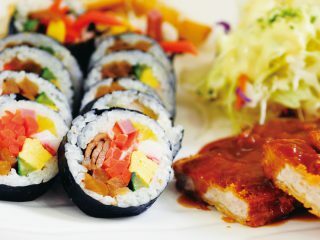 Stir-fry is their specialty, and the menu allows visitors to choose from an array of delicious Asian sauces, vegetables, meat options and more. Their deep-fried desserts, such as ice cream and cheesecake, are delicious post-meal indulgences as well. The drink menu offers beer, wine and a variety of cocktails, which are excellent and all reasonably priced. 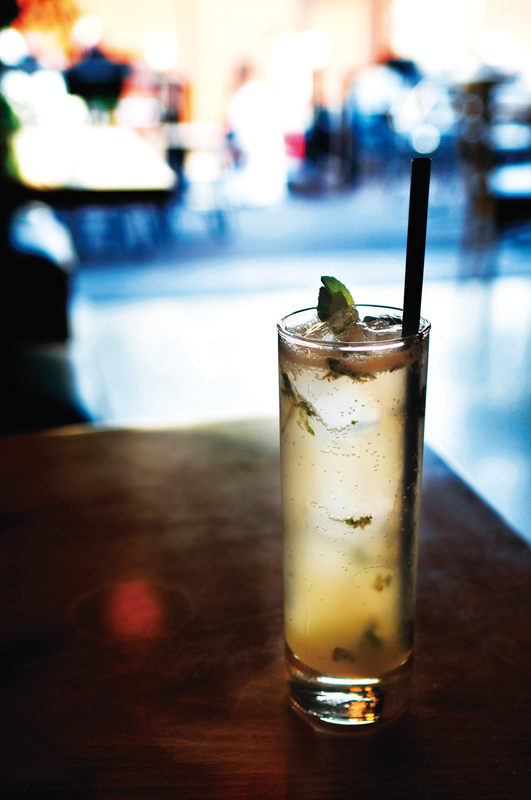 The owners’ take on the mojito, known as the the Báojito, is especially refreshing on a warm summer evening. Book an outdoor table and sit back, relax and enjoy one of the freshest additions to the Gyeongnidan area. 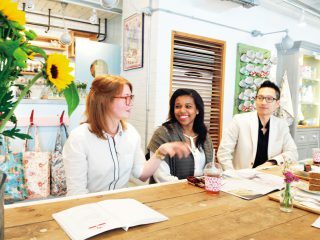 Located just below Namsan Tower in the quiet neighborhood of Huam-dong, Il Vino Rosso offers visitors the chance to dine with one of the best views in the city. 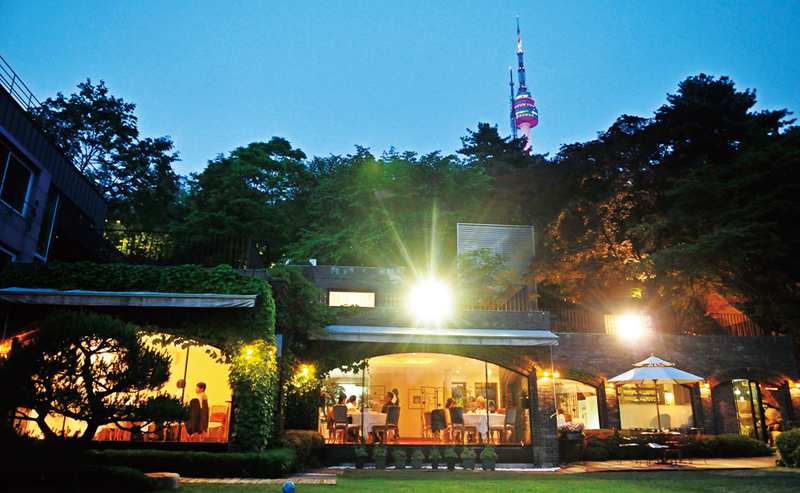 The upscale Italian restaurant has one of the nicest terraces in Seoul, bounded by a beautiful, flower-filled garden and a small forest. If it weren’t for the view of the sprawling metropolis below, it would be quite easy for diners to forget they’re in one of the largest cities in the world. The menu is built around a variety of Italian classics, all savory and tasty, and is complimented by their extensive wine list. The atmosphere makes it the ideal place for an outdoor date or intimate dinner party with friends. It is great for anyone looking for a lovely eatery that will transport them out of busy city life and into a tranquil, natural environment. GO> Take bus 402 at Seoul Station Bus Transit Center, get off at Namsan Library stop, and walk past Huam Elementary School and German Embassy. STANDARD Identity is in the heart of Seoul’s university nightlife district, Hongdae, and provides visitors with a great selection of coffee, drinks and American- and Cajun-style food. Guests have the option of enjoying the modern indoor atmosphere or sitting outdoors with a view of one of the busiest areas of the city. The bar has a very unique style that sets it apart from others in the area: Floor-to-ceiling windows, quirky centerpieces (an old typewriter adorns the srawling indoor table) and camping furniture on the outdoor patio make it a fun, attractive place to hang out with friends. The bar serves a number of dishes, including pasta and outstanding barbecue. The fantastic coffee is moderately priced, and the cocktail list is substantial, with a particular focus on gin. 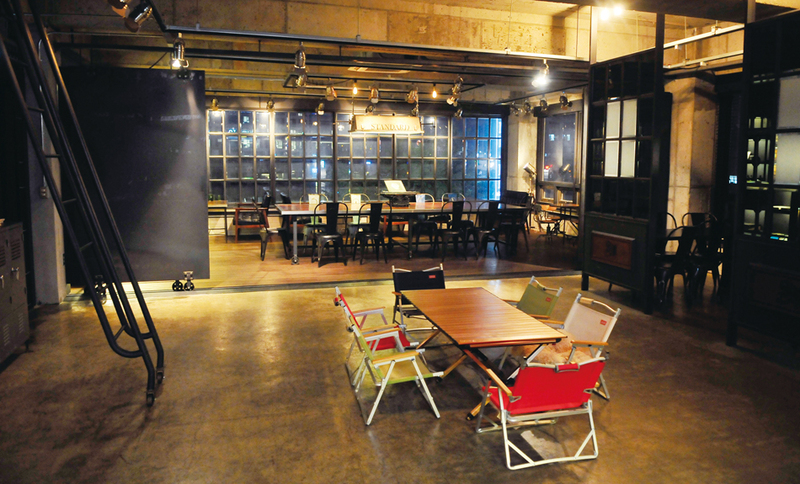 STANDARD Identity offers Bombay, Tanqueray and Hendrick’s, a very uncommon selection in Seoul. Keep an eye out for the owner’s dog (aptly named Seoul), a friendly, lovable little guy who greets customers upon arrival. All-in-all, it’s definitely a worthwhile stop during a night out in Hongdae. Go while the weather is outstanding and enjoy the view!